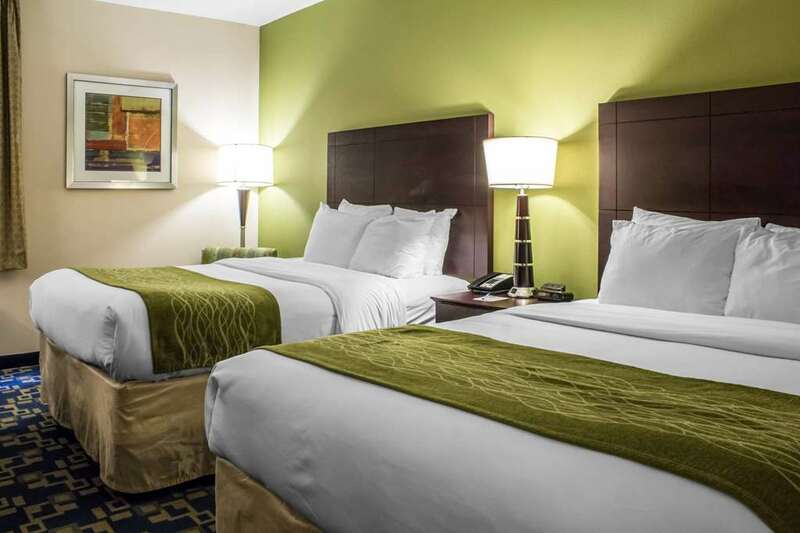 Behind every great day is a great night at the Comfort Inn Ankeny - Des Moines hotel in Ankeny, IA off Interstates 35 and 80. We are near Adventureland in Altoona, downtown Des Moines, Iowa State Fairgrounds, Des Moines Civic Center, Wells Fargo Arena, Iowa State University and Des Moines Botanical Center. Make the most of amenities that cater to business and leisure travelers alike, including free WiFi, free breakfast, free coffee and an indoor heated pool. Make your stay great with hotel amenities like a refrigerator, microwave, TV, hair dryer, iron and ironing board. Also, earn rewards including free nights and gift cards with our Choice Privileges Rewards program.